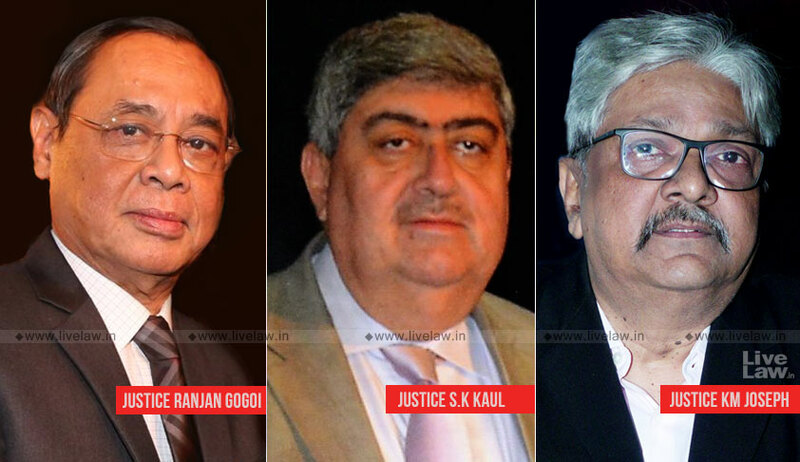 The Bench comprising Chief Justice of India Ranjan Gogoi, Justice Sanjay Kishan Kaul and Justice KM Joseph noted that 11 States have still not responded to its demand for details of pending cases which need to be tried by such Special Courts. The States named by the court are: Goa, Himachal Pradesh, Meghalaya, Mizoram, Punjab, Rajasthan, Uttarakhand, Chandigarh, Dadra and Nagar Haveli, Daman & Diu, and Lakshadweep. The list also included three high courts: High Courts of Karnataka, Kerala and Tripura. Directing them to provide the requisite information, the court further requested Mr. Vijay Hansaria, Senior Counsel approving for Gauhati High Court, to assist the Court insofar as other High Courts/States/U.Ts. are concerned. Mr. Hansaria, along with his Associates, were directed to be provided with a copy of the status reports and affidavits filed before the court so far by all high courts and states/UTs. He was asked to compile the data pertaining to the cases to be tried by the Special Courts in all states/ UTs. Thereafter, ASG ANS Nadkarni is expected to obtain necessary instructions from the Central government on the number of Additional Special Courts that would be set up in the light of the information provided by Mr. Hansaria. The matter has now been directed to be listed in the first week of November. The directions were issued during the hearing of a petition filed by BJP leader and Advocate Ashwini Kumar Upadhyay, who has sought setting up of Special Courts to exclusively try legislators with criminal cases pending against them. The Centre had then, recently sought a direction from the court to the High Courts and the State Government to submit information pertaining to the number of cases involving legislators that have been transferred to Special Courts, and other data on such Courts. The Affidavit stated that despite Centre’s “very sincere and painstaking efforts” to comply with the Court’s directions, several High Courts and States have not provided it with requisite data and information on the queries posed by it. It had submitted, “It is most respectfully submitted that, in compliance of the directions of this Hon’ble Court, the Ministry of Law and Justice has made sincere and diligent efforts to source and obtain information from all the concerned High Courts and State Governments. This was necessitated by the fact that all the District and Subordinate Courts and Special Courts, where criminal cases against MPs and MLAs are being tried, are under the superintendence of the concerned High Courts.